St Mungo’s, the homeless charity, approached us to raise awareness of their annual woolly hat day. 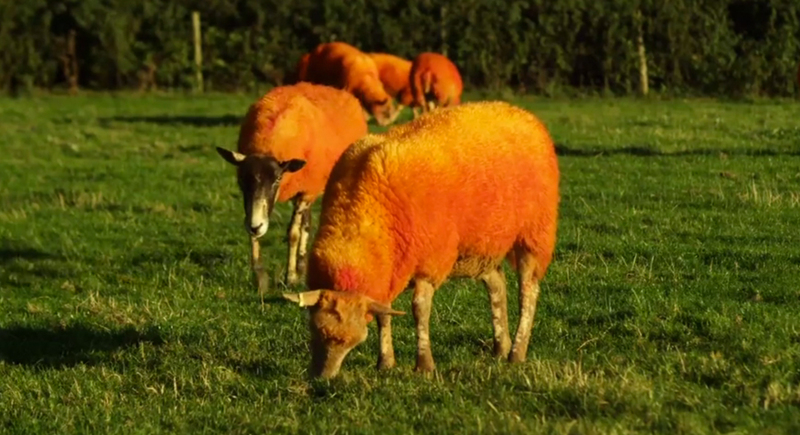 So, we dyed some sheep orange (safely) and filmed a mocu-mentary – which hit the headlines and went viral. And then we scoured our little black book for a few famous friends and encouraged them (some say cajoled…) to don an orange hat and have their pic taken. We even got the cast of One Man Two Guvnors in the West End to take a curtain call complete with ginger woollys!